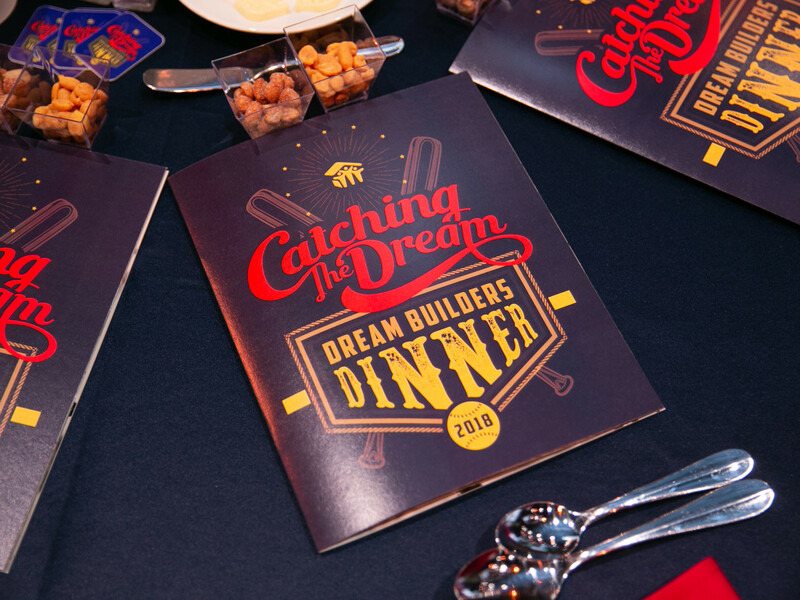 For one night, volunteers and supporters of Dallas Area Habitat for Humanity swapped their hard hats for ties and high heels to attend the second annual Dream Builders dinner. 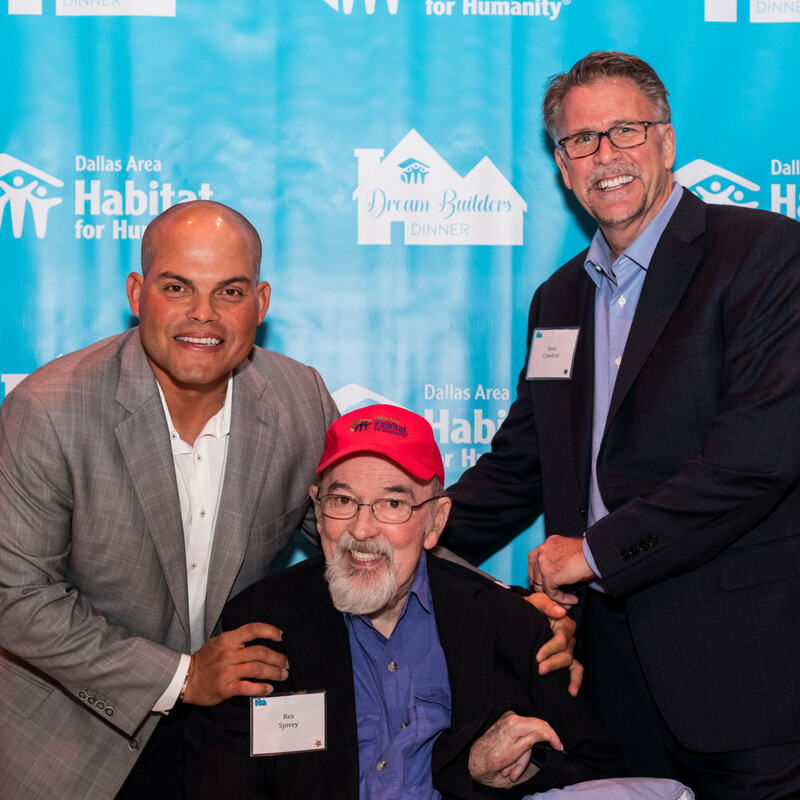 Held at The Statler hotel, the baseball-themed evening honored the organization's true "dream builders," the people and companies without whom Habitat for Humanity would not be Dallas' largest nonprofit homebuilder. 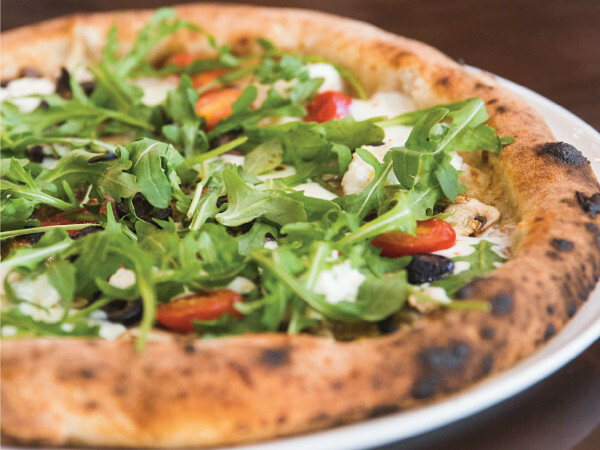 CEO David Crawford welcomed the crowd, which included 20 Habitat Heroes homeowners who paid off their mortgages in 2017, before everyone tucked into a meal of cider-brined chicken and savory bread pudding. Dessert tipped its hat to the classics: a vanilla ice cream sundae topped with Ghirardelli chocolate and sea salt-caramel popcorn. 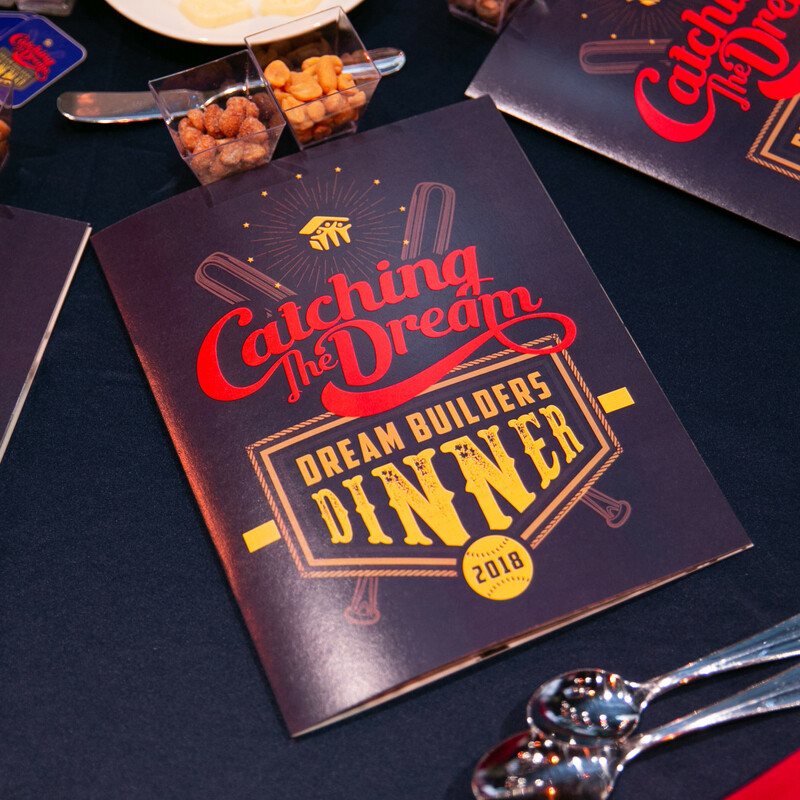 Rex Spivey was the night's big honoree, receiving the 2018 Dream Builder Award for his more than 25 years of service. 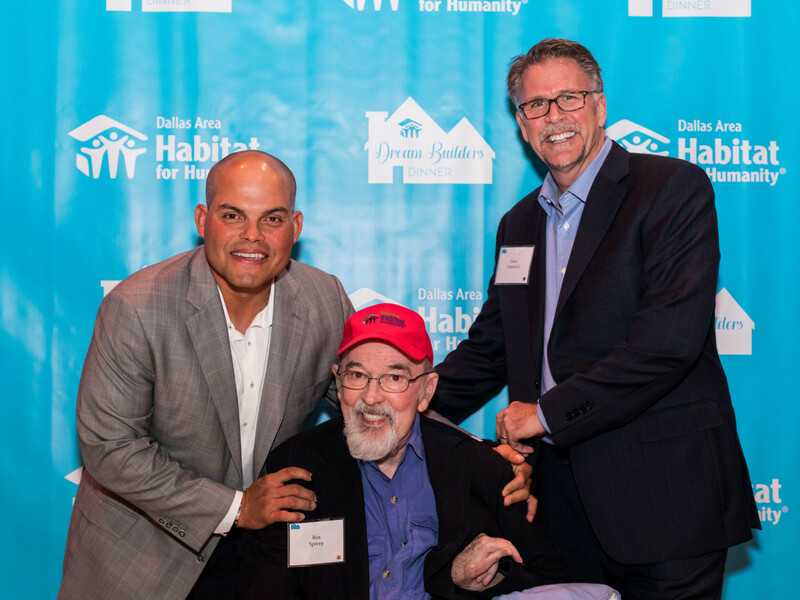 Spivey became a core Habitat for Humanity volunteer in 1991, then went on to serve on the board of directors and as interim executive director, before being named Outstanding National Volunteer by Habitat for Humanity International. 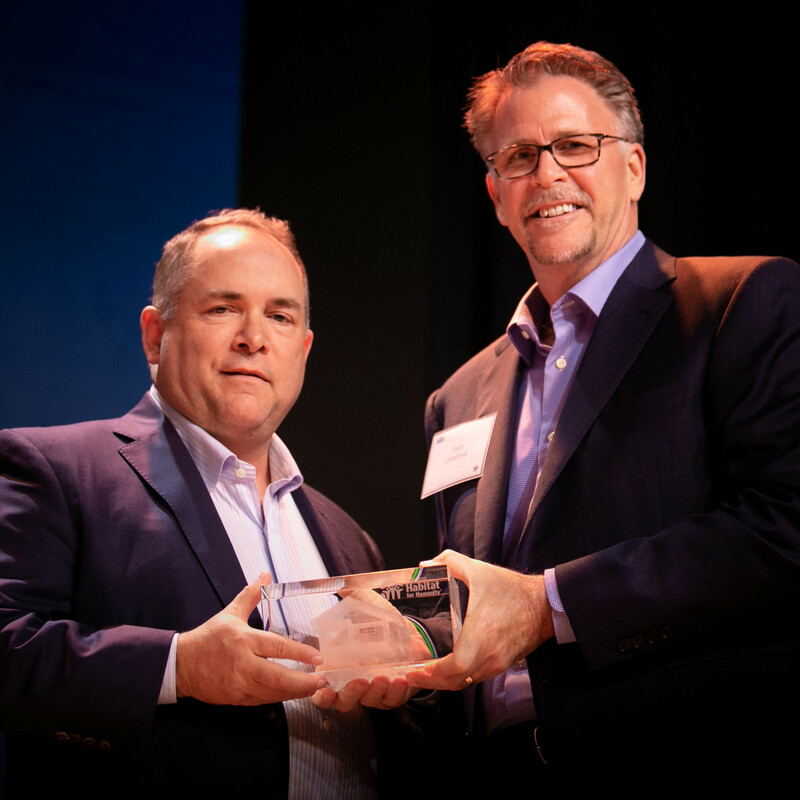 Also honored was Pioneer Natural Resources, which has donated $3.9 million in direct financial support and provided over 11,500 volunteer hours. 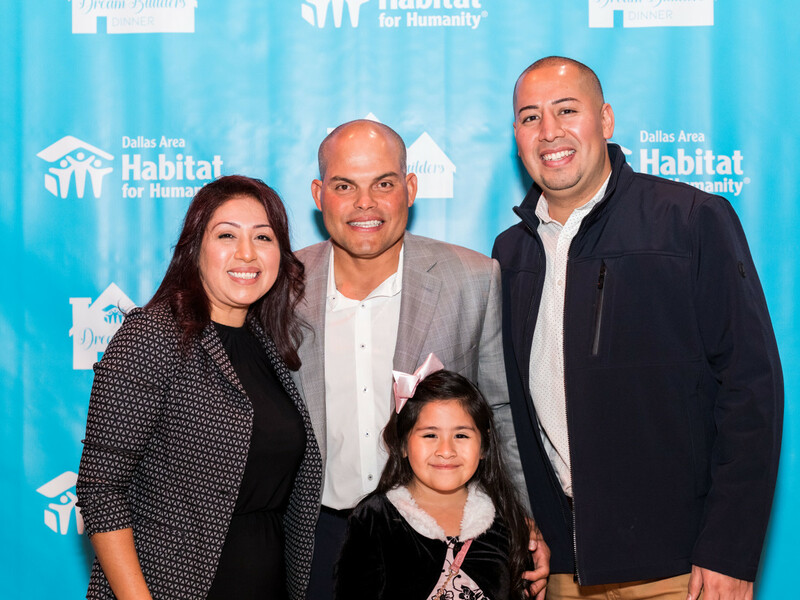 Directly, its employees have helped build 24 new homes and repair 28 more. 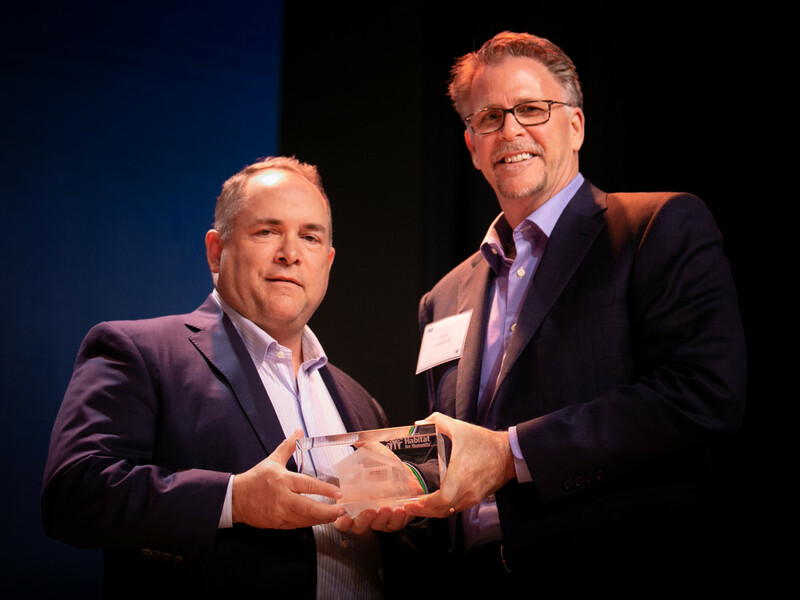 Joey Hall accepted the award on the company's behalf. 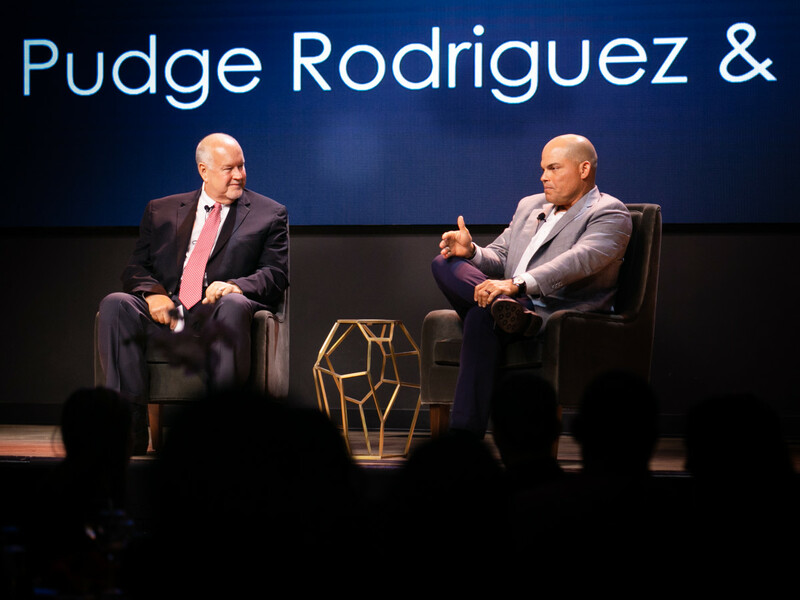 After the customary seventh-inning stretch, during which attendees could place "bets" (donations) on which color dot would win the race around Rangers stadium, the dinner's keynote speaker was introduced. 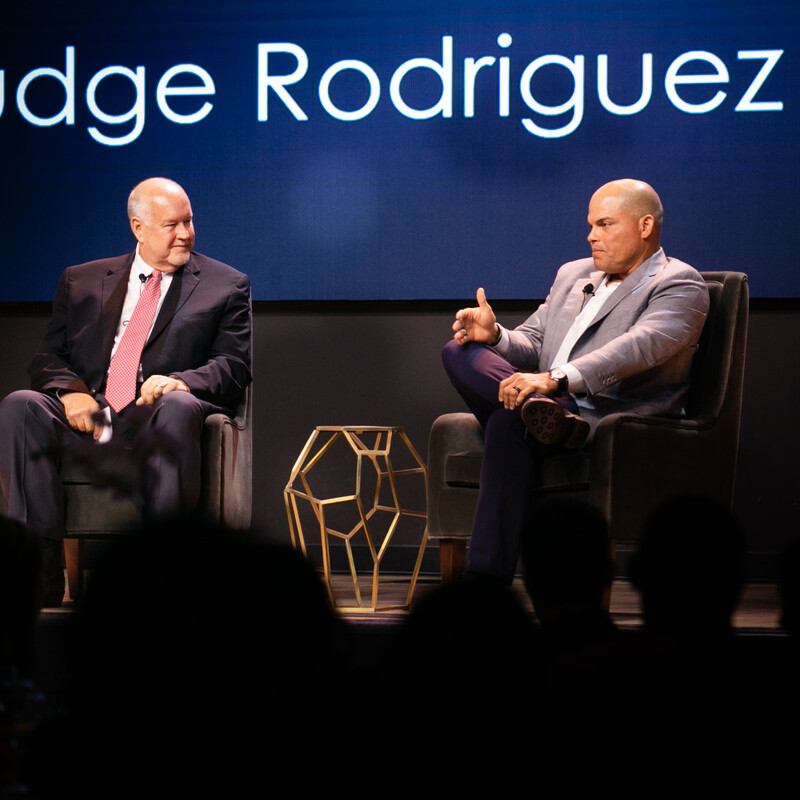 Ivan "Pudge" Rodriguez has been a longtime advocate for Habitat for Humanity, and he discussed his involvement with Chuck Morgan, aka the official voice of the Texas Rangers. 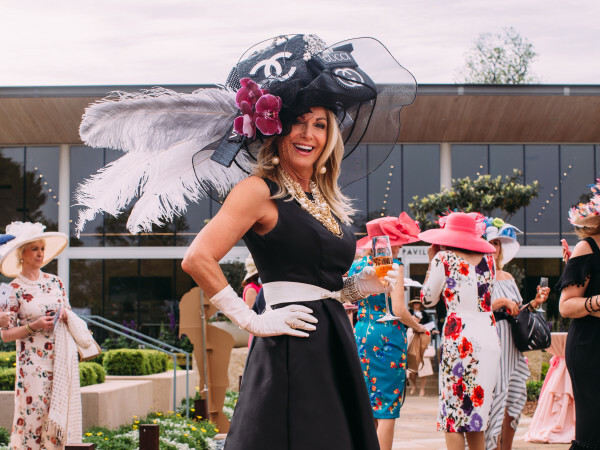 On their way out, guests received branded baseballs and boxes of Cracker Jacks for the ride home. 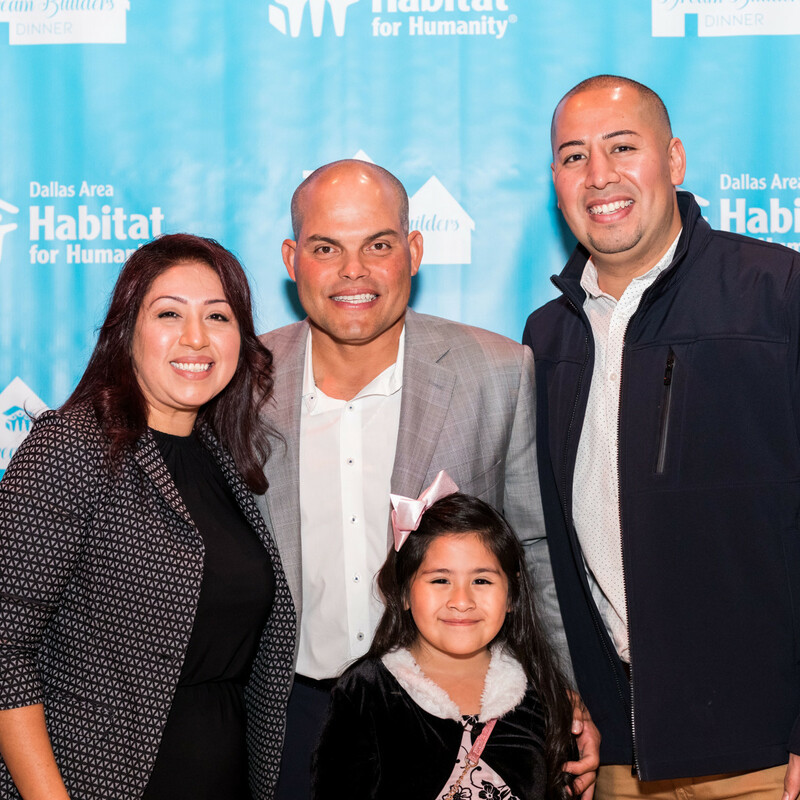 In 2018 alone, Dallas Area Habitat for Humanity constructed 94 new homes through 65,956 volunteer hours. 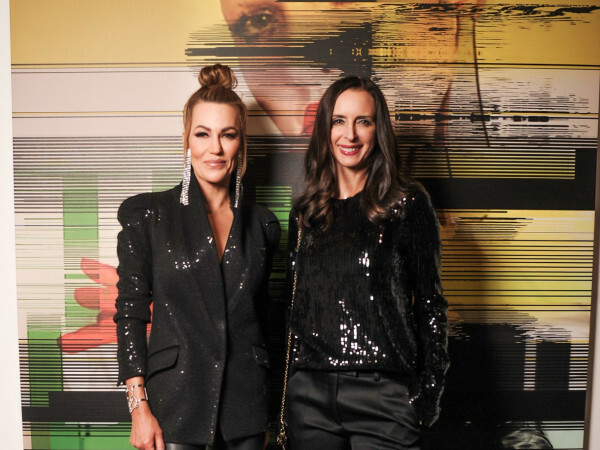 It is the nonprofit's goal that everyone has a decent place to live, and in addition to homes and repair the group offers mortgage counseling and homebuyer education.